The Language and Communication research cluster is delighted to welcome crime novelist and senior lecturer Dr Andrew Pepper (Queen’s University Belfast) for a presentation on Crime Fiction in the Archives: Hunting for Hammett. Crime fiction is typically regarded as cheap and disposable and certainly not conducive to serious archival scholarship. In this talk, I consider what the “official” archive held by the University of South Carolina reveals about Dashiell Hammett, a figure about which much is already known. The real “discovery” is not Hammett himself, for there is little that the archive can now tell us beyond what is already known, but the lives and dramas of those who first tried to excavate Hammett’s story in the late 1960s and 1970s. This talk examines how biographical scholarship was conducted in the pre-digital era and what was at stake for those who sought, against the wishes of Hammett’s estate, to dig up the buried details of his life and works. Its focus is not Hammett himself but the freewheeling band of “unauthorized” Hammett hunters who toiled away in the early 1970s and whose efforts typically, and in typically Hammettian fashion, ended in failure. Andrew Pepper is Senior Lecturer in English at Queen’s University Belfast. He is author of Unwilling Executioner: Crime Fiction and the State (OUP 2016) and The Contemporary American Crime Novel: Race, Class, Gender, Sexuality (EUP 2000). His “Pyke” series of detective novels, set in nineteenth-century Britain and Ireland, including The Last Days of Newgate (2006) and Bloody Winter (2011), were all published by Weidenfeld and Nicolson. In the 2018 University English meeting, Billy Clark and Andrea Macrae discussed academics’ perceptions and awareness of A-level English reform. The survey, funded by the British Academy and Leverhulme, was conducted by the ‘Integrating English‘ dream team: Andrea, Billy, and Marcello Giovanelli. You can find a visualisation of their findings here. Perhaps unsurprisingly, English subject leaders feel that they and their teaching staff are little informed about changes to A-levels. In fact, the overwhelming majority of English degrees in the UK are making no (55%) or minor (33%) changes changes to the curriculum to support the transition of students who are taking the reformed A-Levels. On a more positive note, the Lang/Lit A-level is more positively viewed in Higher Education than in schools. 95% of university English subject leaders perceive it as useful in preparing students for English degree programmes. In fact, this is tallies with our own anecdotal evidence. A couple of days ago, at a local college visit, the Lang/Lit teacher was telling how the English Literature A-Level still carries much more prestige and is more popular with staff and pupils than the Lang/Lit A-Level. And finally, a third of English degrees do not require any of the three English A-Levels (English Language, English Literature and English Lang/Lit). 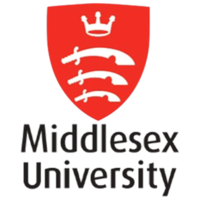 It looks like we are not that unique at Middlesex! So what can we do in higher education to help the transition of our students from secondary to tertiary education? Billy explained the importance of connecting with secondary teachers and students, awarding bodies, even our PGCE colleagues. He also showed the importance of helping first-year undergraduate students understand how university work differs from school-level work. Joining the English Association Secondary Education Committee.